Sonos on Wednesday announced the Amp, a peripheral bringing the company's signature wireless audio to conventional wired speakers. A successor to the company's existing Connect:Amp, the Amp is a "home audio hub" capable of powering up to four speakers at 125 watts per channel. It has multiple line-in ports, subwoofer support, threaded connections for left and right channels, and built-in HDMI ARC for use with televisions. 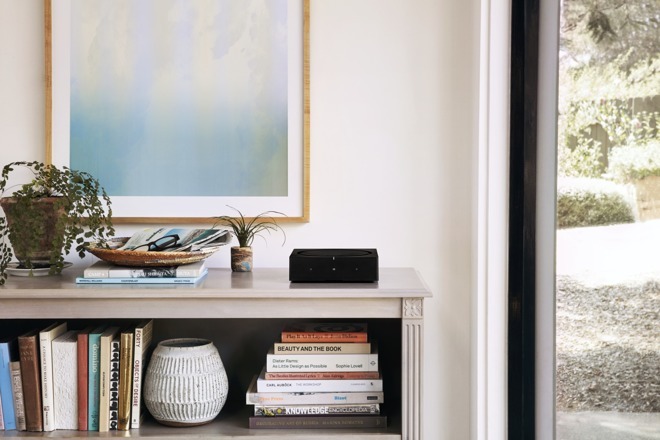 The gear otherwise operates much like other Sonos devices, supporting over 100 streaming services — including Apple Music — and multi-room audio. AirPlay 2 compatibility is expected at launch, allowing people to push audio from compatible apps on Apple devices, and integrate the Amp into HomeKit and Siri. Owners can also connect it to an Alexa-compatible device such as an Amazon Echo or the Sonos One for more elaborate voice control. 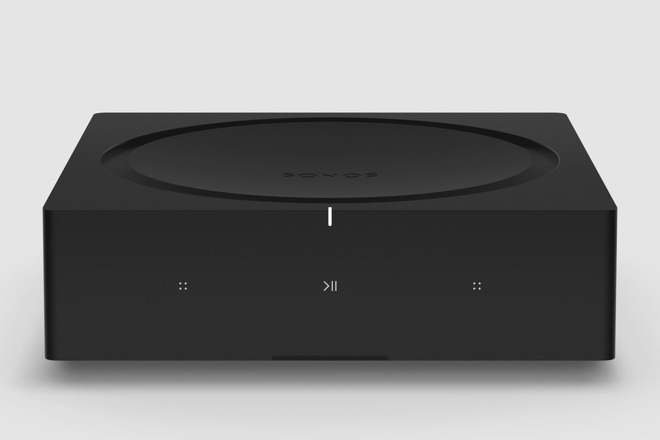 While it does compete against Apple's HomePod, the Amp effectively breathes new life into existing home speaker systems, especially those that do not offer network-connected features like in-home streaming. Professional installers in the U.S. and Canada will get access to the Amp starting Dec. 1, but the general public will have to wait until Feb. 2019 to buy an Amp for $599.